The eblast started by announcing “Save (our Organization)” then mentioned a matching fund challenge. That was good; matching funds work. But they work best when the appeal is also enticing. Save us sounds too much like, “We are so bad at managing our money—won’t you give us more.” I don’t think so. OK, but…why do I care? I still don’t know why these funds are needed. That word without a clarifying phrase that tells me why free is necessary makes me think of that proverbial shiny shoe salesperson. Free. Maybe good. But maybe you are offering free services to people whose income exceeds mine. Free by itself is not a reason for someone to give. What would be a reason? Tell me your outcomes. What happens because you are there that wouldn’t happen if you weren’t? And tell me why that matters. I might donate if the services you offer are to a cohort I care about and who I feel need my help. I might donate if your services truly make a positive impact, especially if it does that for people who need that positivity, badly. I might donate if you show me that without you the problem you solve will remain unsolved. And I would definitely donate if I understand why that problem is a problem and why it needs to be solved. In other words, your appeal needs to be about me and about the clients or cause you serve. It should NEVER be about you and your needs. Start managing what you have better. Raising funds is not just about getting the bucks. It is about making people care. And you do that by showing them what you do and why what you do matters. Janet Levine Consulting works to help nonprofits move from mired to inspired. 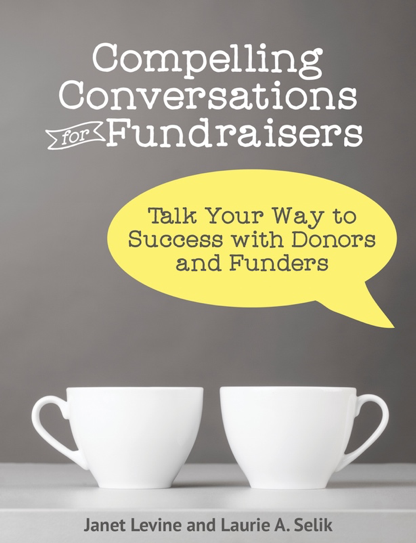 We help you be more effective in your fundraising. Learn more at www.janetlevineconsulting.com. Call or email us for a free 30-minute consultation and see how we can help you raise more money. This entry was posted in Ask, fundraising and tagged donate, free, matching funds, need. Bookmark the permalink. 1 Response to Whose Needs Matter?